Providence Assisted Living Community offers superb senior living in the Wiregrass just minutes away from downtown Ozark, Daleville, and Fort Rucker. Residents enjoy meals and special activities together in the beautifully-appointed common rooms and surroundings at Providence. Each of the 16 private rooms and suites offers spacious living and modern amenities. Our seniors and their families can rest assured knowing that we offer quality care services in the comfort and privacy of their suite. Our comprehensive assisted living services are available 24 hours a day and accessible to anyone needing help. 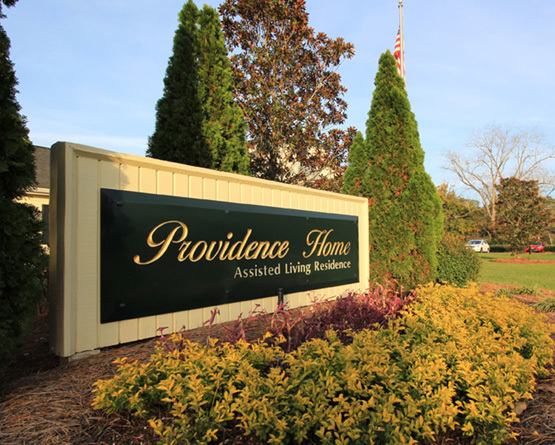 Providence Assisted Living Community is conveniently located on Grimes Road near the Fort Rucker gate outside of Ozark. We invite you to contact Extendicare today to arrange a personalized tour.